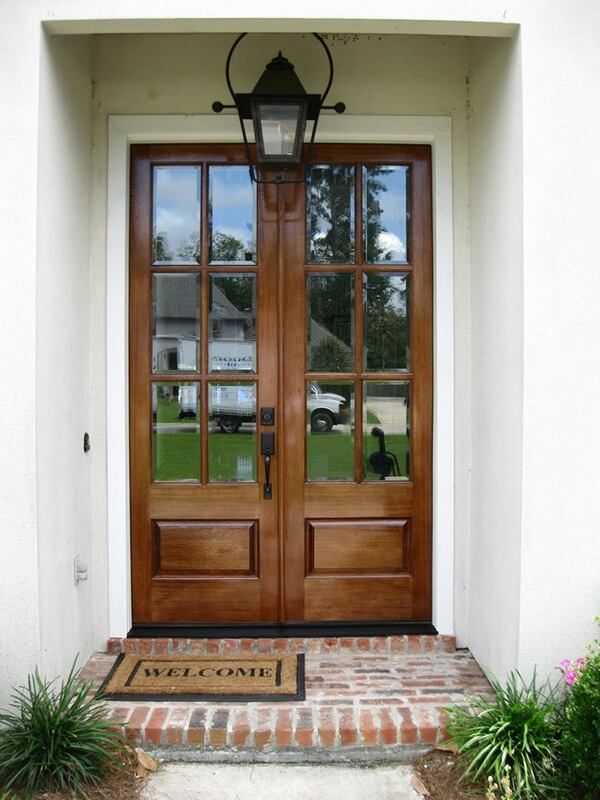 Divided Light Doors, more commonly known throughout the region as French Doors, have become a staple of the architectural culture of Louisiana. Known for expansive windowpanes within the framework of the door, French Doors allow natural light into and throughout your home. Exterior French doors are perfect for homes with a yard or neighborhood worth appreciating, and interior French doors give your home an open, airy, modern feeling from room to room. After briefly colonizing parts of Louisiana along the Gulf of Mexico in the late 17th century into the 18th century, France’s reign in the region eventually came to an end, but its cultural impact still lives on today. Be it the food, the music or the architecture of the area, the French influence lives on in Louisiana, and the French Creole architecture from which French doors derive is just one example. Creole cottages and townhomes remain prominent throughout the region, and both styles of homes are known to lend themselves to French doors. The cottages became known for their galleries, or decorated outdoor rooms often used to host social gatherings, and French doors were often used to open up space inside the house and to connect it with these galleries. This gave those inside the homes a view of the lovely scenes taking place just outside. The townhomes used French doors for a similar purpose, utilizing their open, airy look as a welcoming into the home’s parlor, or main seating area. Ultimately, the trend behind these doors was to create a barrier from room to room, as is the purpose of most doors, but to do so without creating complete exclusion or a closed-off feeling inside a home. Those principles remain of value in our modern society, and like other styles from French Creole architecture, French doors live on today as a welcoming threshold throughout Louisiana. Now more commonly associated with modern homes, these doors and their inviting nature may have been a bit ahead of their times, but they’re one of the most appreciated styles in the region today. French doors are sure to brighten your home and perhaps even raise its value on the market, but because windowpanes take up far more surface area than the wood on a French door, they can be tricky to maintain over the years. Maintaining the wood requires many of the same practices used to maintain the wood on any other door: It must be re-varnished every so often, depending on the strength and durability of the wood, and when paint begins to chip away it is best to repaint the door to allow the wood to look as clean and modern as the glass windowpanes it is holding in place. This includes the wood that lies between windowpanes within the framework of a door, which can sometimes be slim and difficult to treat. Glass windowpanes don’t require much more treatment than routine Windex cleanings to remove smudging, especially for families with children and/or pets, but it is just as vital to check the putty or adhesive material connecting the windowpanes and the door frame to ensure its structural integrity. Modern French doors have begun to substitute other materials for wood to maintain the durability of the door, especially in the cases of exterior French doors. Painted fiberglass or wrought iron door frames have become more common as they both stand up to Mother Nature better than traditional wooden door frames. The design of French doors can vary from simplistic, square-grid looks, to intricate designs linking the door to its French heritage. This simple, timeless design gives homes a modern look that has become popular and distinct in many parts of South Louisiana. Interested in learning more about the many different French door options available? Visit the Doors of Elegance showroom in Metairie or the online galleries available at www.doorsofelegance.com.